Best known for her monthly magazine The Nautilus, the leading new thought periodical of its day, Elizabeth Towne was a very influential writer, editor, and publisher in the new thought and self-development movements from the late 19th through the mid-20th century. Besides being Wallace D. Wattles', who's best known for his classic masterpiece The Science of Getting Rich, primary publisher, Mrs. Towne was a very successful businesswoman who wrote some great stuff on the subject of money that compliments Mr. Wattles' work rather nicely and is just as practical today as when she wrote it. 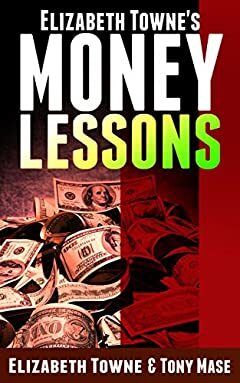 In this book, you'll find eight money lessons by Mrs. Towne along with exclusive and extensive comments on them by Tony Mase, a serious student of the works of Wallace D. Wattles. Between them, you'll get the real deal, not a repeat of all the rehashed crap that's floating around out there, on how to constructively use the income you're already earning to build wealth. And, it's not near as difficult as you might think. As a matter of fact, it's not difficult at all! Elizabeth Towne (1865-1960), who's best known for her monthly magazine The Nautilus, the leading new thought periodical of its day, was a very influential writer, editor, and publisher in the new thought and self-development movements from the late 19th through the mid-20th century. Bonus Article: Crisis? What Mortgage Crisis? This book is jam-packed with information, straight from Elizabeth Towne and a successful student of Wallace D. Wattles' writings. You even get access to an invaluable free bonus! If you want to be wealthy, scroll up and click or tap the "Buy..." button now, or download through Kindle Unlimited. You really have nothing to lose!